This world famous type of Balinese music is performed on a bamboo instrument called Rindik. The delicate humming sound produced by these instruments conjures up images of breezy rice fields and sunny days. 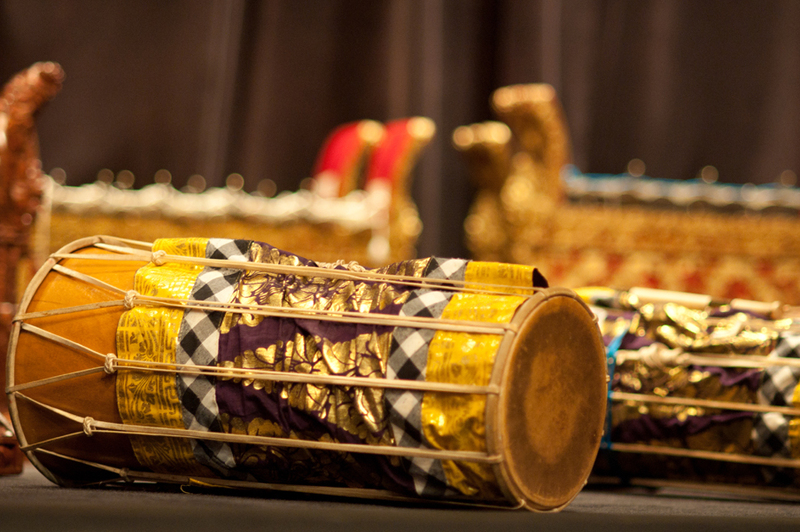 Like most other Balinese gamelan instruments, rindik are tuned in pairs, one being tuned slightly higher than the other. This is what produces the characteristic humming sound. A rindik is played with either two or three beaters, one held in the left hand and one or two in the right. Normally, the left hand carries the melody and the right plays a pattern that creates interlocking configuration between the two right-hand parts. Although it may look effortless, playing rindik is a masterful skill that takes many years to learn. Hundreds of compositions have been composed for rindik, and each region—even each village—in Bali reveals different styles and repertoire. It never ceases to amaze us how many compositions some of these talented musicians know, and they’re all committed to memory! As a traveler, you are likely to have the chance to see dances if you attend ceremonies. If not, here's your chance to join one of the performances put on for our guests here at Santai Hotel Bali. Goose bumps and wow moments guaranteed! Remember to bring your camera!